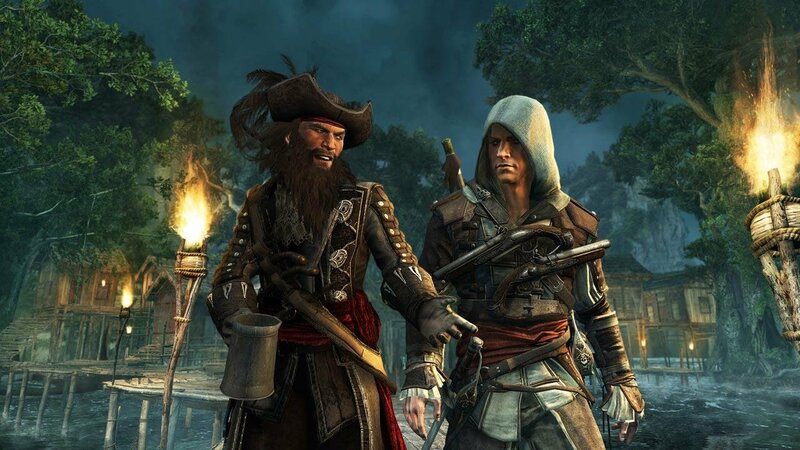 Assassin’s Creed IV: Black Flag is a 2013 historical fiction action-adventure open world stealth video game developed by Ubisoft Montreal and published by Ubisoft. It is the sixth major installment in the Assassin’s Creed series. 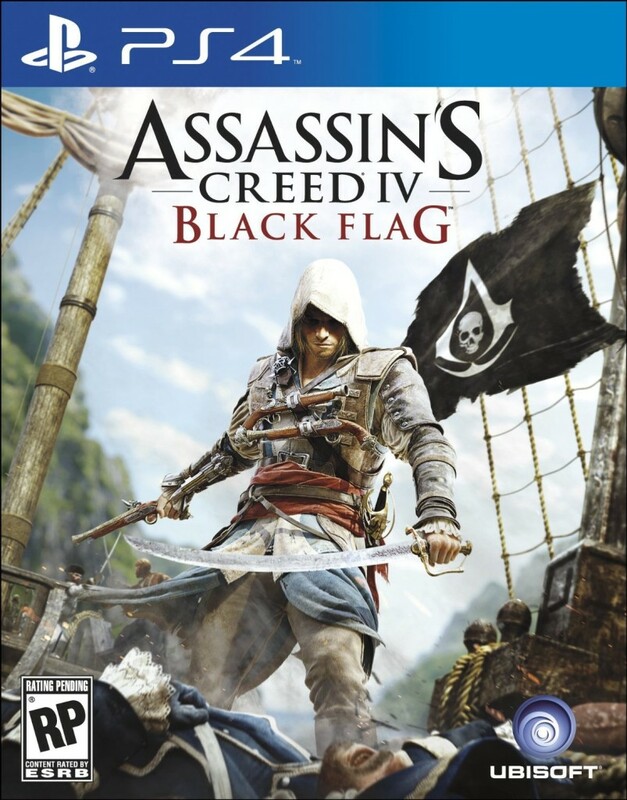 Black Flag was first released on the PlayStation 3, Xbox 360, and Nintendo Wii U in October 2013 and was ported to PlayStation 4, Microsoft Windows, and Xbox One the next month. Its historical time frame precedes that of 2012’s Assassin’s Creed III, though its modern-day sequences succeed III‍‍ ’​‍s own. But let’s forget everything about Assassin’s Creed 3 other than future Desmond died in it. We even get to see his future autopsy in Assassin’s Creed IV which was exactly the kind of closure I needed frankly. But his ghost still haunts us because the evil corporation nicked his brain and extracted enough genetic memories to make another billion more Assassin’s Creed games. Casting my mind back to 2008’s The Dark Knight I’m reminded of that line that Heath Ledger’s Joker said “I think you and I are destined to do this forever.” Which proved slightly ironic for Heath ledger. Which sort of covers my reluctance of this series at this point. I could complain that this series is just going on and on and on and every time it droops its head it gets a tase to the base of the spine. But you know whatcha gonna do? I know the sailing was in the last game but it was only a side-quest and wasn’t very good. But now the sailing is central rather than hanging off to one side stapled to an earring. It has that grand exploitative quality, sea battles are fun and when you board an enemy ship it swiftly becomes Assassin’s Creed again stabbing and countering enemies. I even resented coming back on dry land to do story missions because they’d almost always involved tailing someone and when I’ve just got back from blowing up ships it’s hard to come back down to grandmothers footsteps. And as soon as the enemy gets a long enough glimpse of your pimply bum there gonna find you and kick your teeth in. Kinda like your dad and mum’s new boyfriend. Generally missions lean more towards open ended sneaky stab and less rigid join the dots destruction then in 3. Which is nice but if I didn’t feel the need to do assassination contracts I might have been content to never go to towns at all. Cause the sailing is where you reap the biggest rewards. Money has an actual job at last because ship upgrades are expensive and that’s an investment that adds to gameplay. Rather than letting you corner the imaginary sofa market. 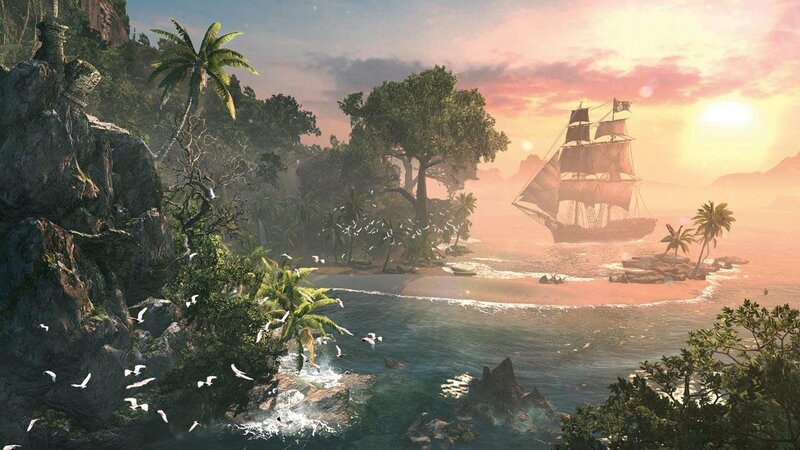 Assassins creed Iv black flag made me sink hours just exploring caves and whatnot. Even though the story isn’t great it’s fun enough to keep the action going. 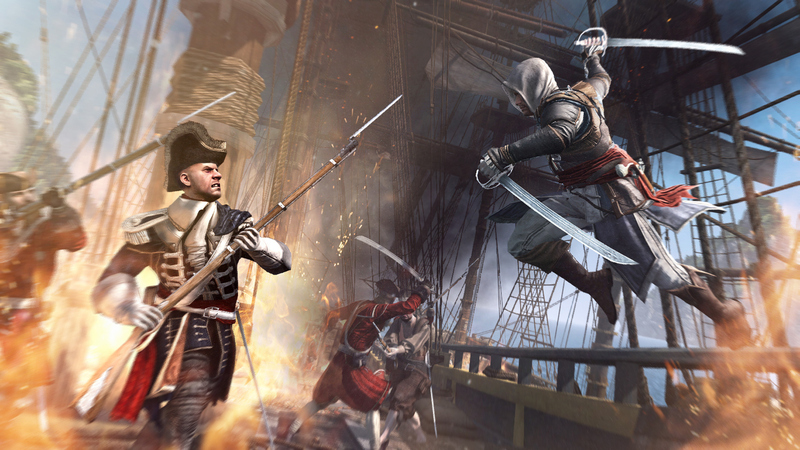 Assassin’s creed iv gets 4 stars out of five.